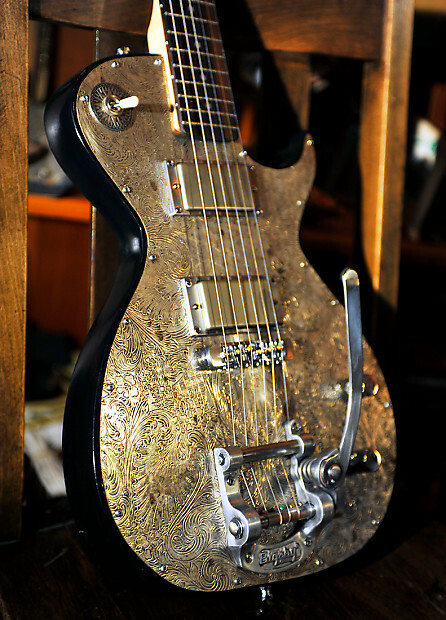 This guitar handmade in Memphis Tn. 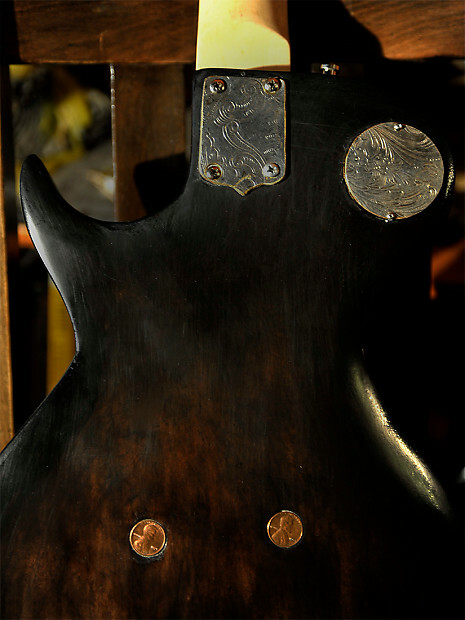 It has a Maple chambered body and wood top. 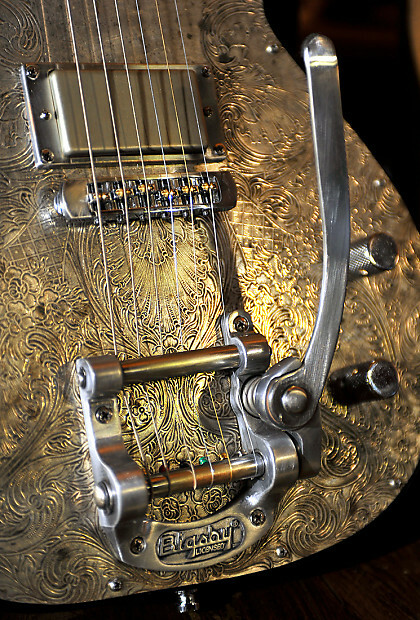 It then is covered with an additional top hand fabricated from vintage silver plated etched copper. The maple neck has a rosewood fretboard, a bone nut and Planet Wave locking tuners. 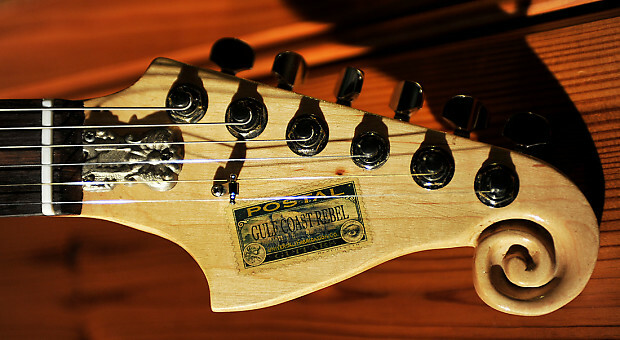 The headstock is handcarved with the tradmarked "Postal Scroll". The bridge is an adjustable roller bridge with brass saddles. 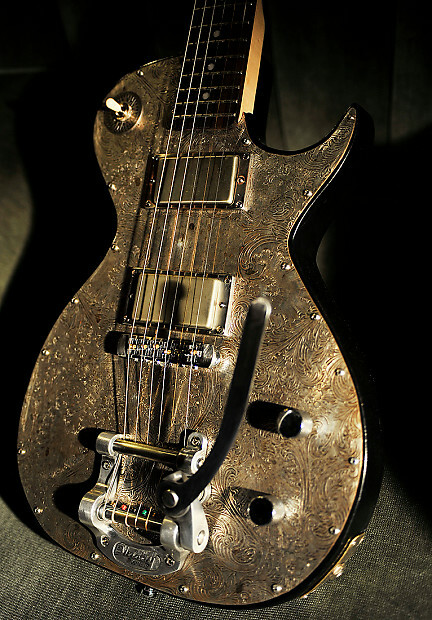 The vibrato is a Bigsby. 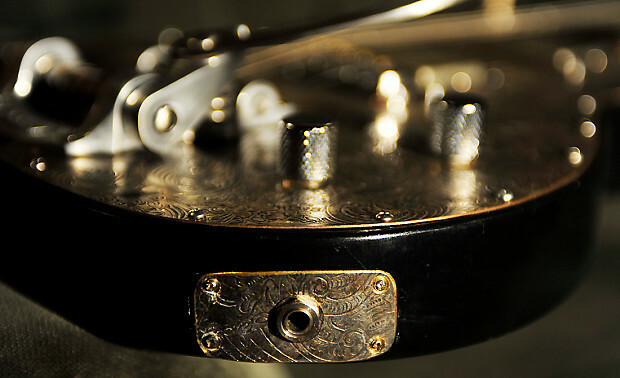 2 PAF Kent Armstrong pickups, all pickups can be replaced with pickups of your choice for an addition fee. 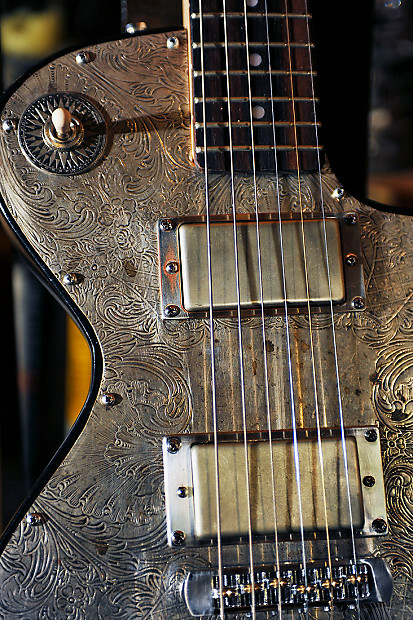 It pays smooth and sounds sweet and nasty. 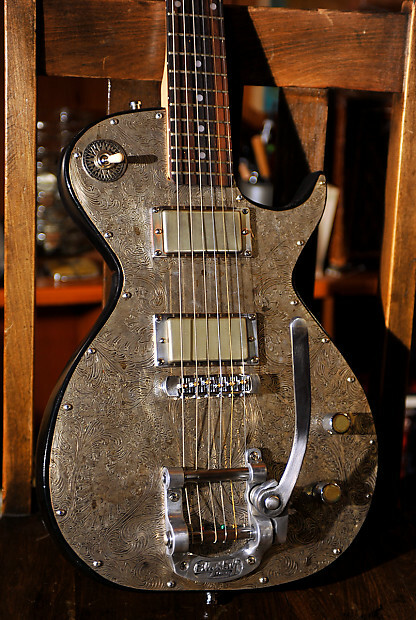 ​Of course all Postal Guitars start their life as a board. I only accept returns if there is a problem with the materials or workmanship. I would prefer to resolve any issues you may have. All guitars are gone over and adjusted for play-ability and electronics before they are shipped, this is an expense in time and money I am happy to extend. I am not yet in a position to consider buyers remorse a valid reason for a return. 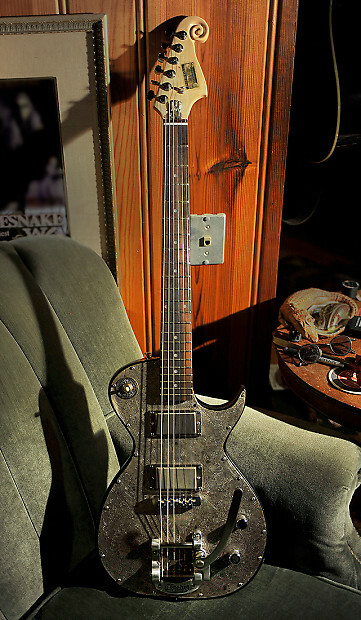 I hope you can understand as I am a small builder and the guitars are priced closer to their value in expense in time then they eventually will be.